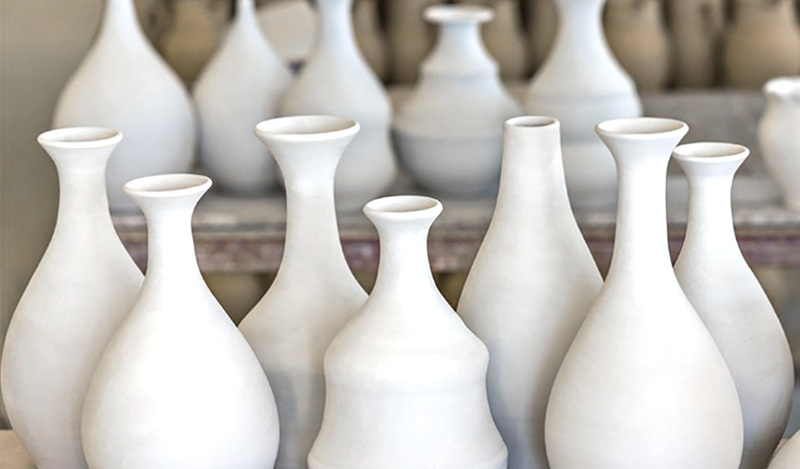 Carboxymethylcellulose (Carbofix) is used in the manufacturing of ceramics as a special binder for glazes and engobes. improve the binding of glaze to its support. Low viscosity types are recommended for glazes, whereas high viscosity types are preferable for sanitary glazes. Both types are pure. In applications with glazes, they bring about an improvement of stability and homogeneity, as well as resistance to pressure, elasticity and adhesion to backing are increased, resulting in a considerable reduction of rejects due to breaking. In addition, the use of CMC has made it possible to eliminate shortcomings arising during the baking of ceramics, such as, for instance, colour variations, swelling and blisters. In fact, CMC affords excellent binding properties and burns completely leaving no residues. RESAMIN L are anionic products made by synthetic means starting from polysaccharides. They are available in water solution and they have been specifically formulated for the ceramic industry, where they are used as additives for glazes; they could also be added on line without changing the viscosity of glazes. RESINOL is a class of synthetic polymers in water solution used in the ceramic industry as binders and tying agents for glazes.